Or... Victoria Sweden Egg White Facial Care Soap. It's one of those facial soap bars that double as a cleanser and mask. I've tried 3 similar ones in the past but while those were formulated using mud, this one used egg whites! 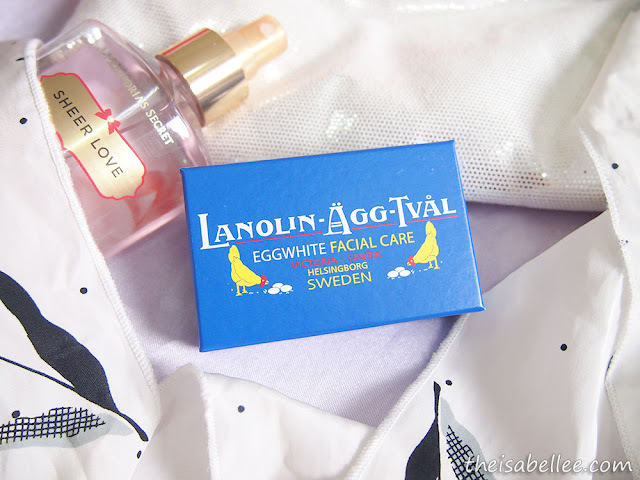 They say egg white facial originated from traditional Sweden but this trend became extremely popular in Korea a few years back. Egg white facial masks are still being used now but it is messy, you waste the yolk and it honestly smells lolol So here is the convenience of the same thing but in soap form. 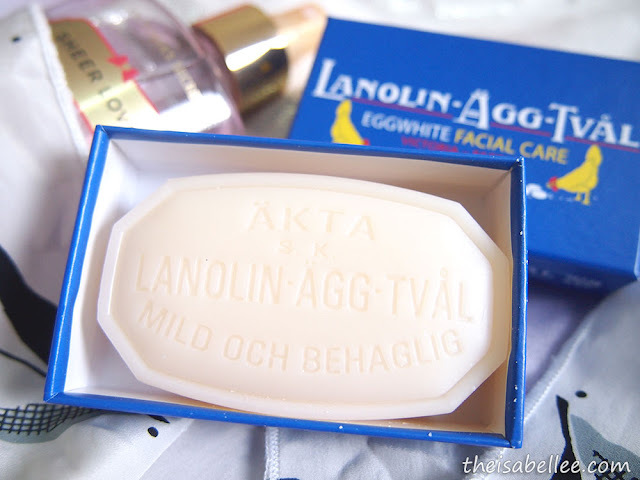 Victoria Lanolin-Agg-Tval Eggwhite Facial Care Soap ingredients list. Quite a big bar for RM 40, considering it is meant for your face. It is selling overseas for $5. 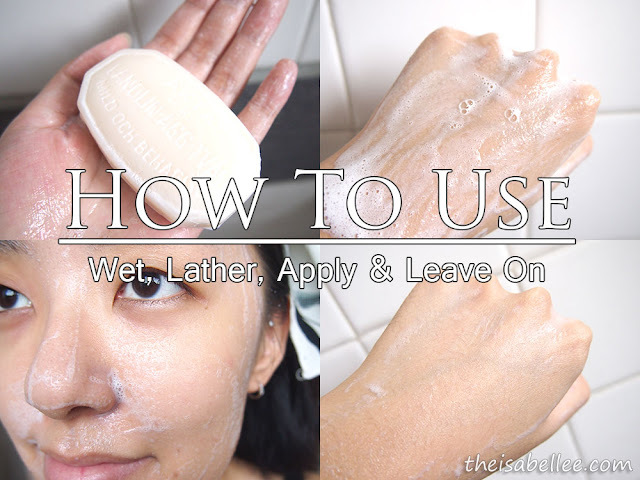 OMG Isabel, how can you put soap on your face? It's alright.. Just make sure you make a thick lather and don't wait til it's totally dry. Besides, it's formulated with rose water and lanolin to sooth and moisturize skin. To my amusement, their claims of rosey skin (albeit temporary for now), smaller pores and sebum control were also true. Pimples were also controlled by the 2nd day. Not bad.. I pair it with an extraction tool to squeeze all the gunk out of my pores. Pure satisfaction, I tell ya! Wet only one hand and one end of the soap. Use your dry hand to hold the dry end. Hi Ms. Isa. 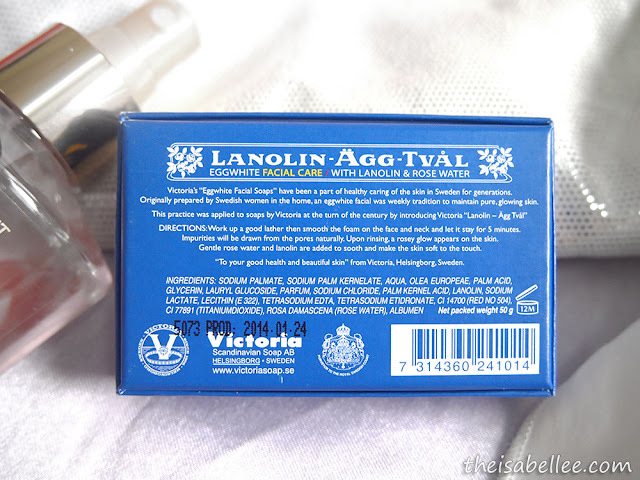 Can I share your review about Victoria Lanolin in my Facebook page? Thank you. Can use it in body? Hi ms isa. Can i use it in body?